We have all seen the terrible images of refugees forced to leave their homes and risking all to seek safety elsewhere. 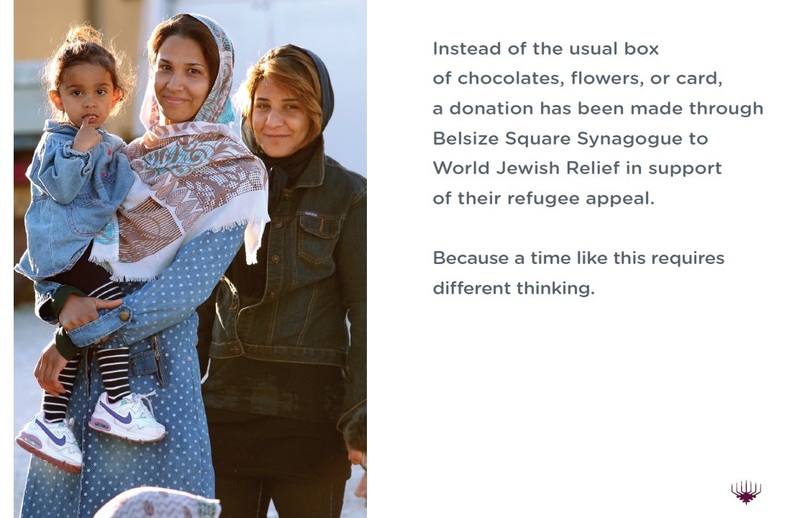 Now instead of buying your host the usual gifts, like flowers or a box of chocolates, you can give them a gift card that shows you have donated to the World Jewish Relief’s refugee appeal. The card’s artwork is shown below. 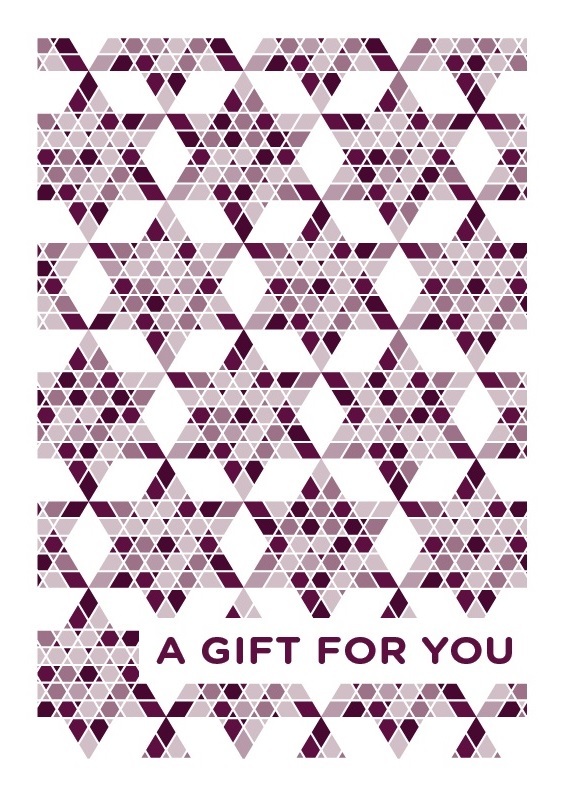 The minimum suggested donation is £10 per card. 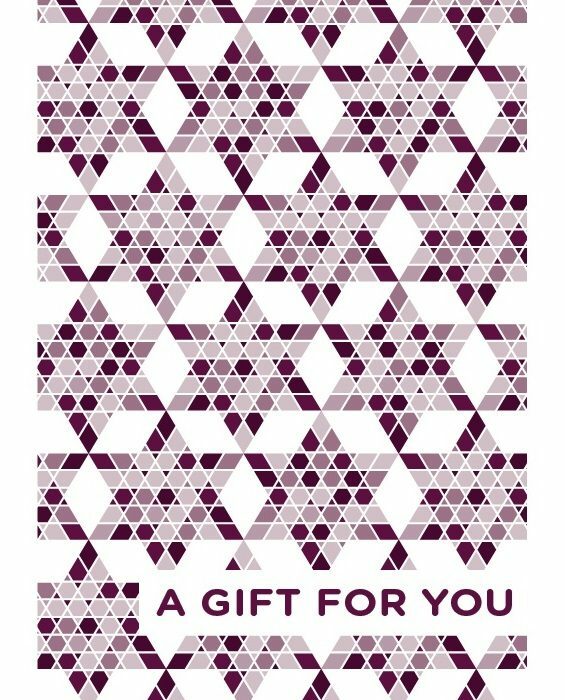 They can be purchased through the synagogue office or by clicking here.